We first heard about the Canadian Warplane Heritage Museum years ago at an air show in Geneseo, New York. 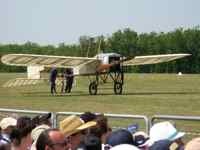 The couple of years we attended, the Canadians brought some of their planes down... great planes at that. We knew that if we ever took a trip up to Toronto, we'd have to stop by and see their collection. 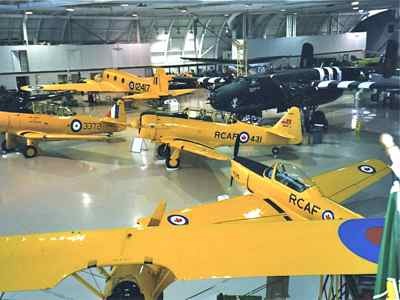 It has a large collection of aircraft used by Canadians from the beginning of World War II up to the present. The aircraft mentioned above are all flyable as of this writing. We saw the Lysander along with the Lancaster, the Hurricane and the Spit at Oshkosh Airventure in 2009. The Canadians have some older planes too. 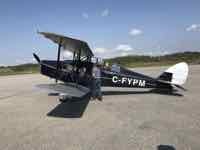 How about a de Havilland Tiger Moth, a Fleet Finch, and a reliable old Stearman PT-27 Kaydet. Airplane buffs know, and you need to remember, that some familiar planes like AT-6s that are called Texans in the U.S. (or SNJs in the Navy) are called Harvards and Yales in Canada. Many of the Museum's aircraft are flyable. Some visit air shows throughout the year. Their website (listed below) tells you to check the flying schedule to see which planes will be at the museum and which may be on tour. This is in Ontario, about an hour from Toronto at Hamilton International Airport. They are open daily all year between 9 am and 5 pm. Closed only on Christmas and New Years Day. Would You Like To Fly In One? 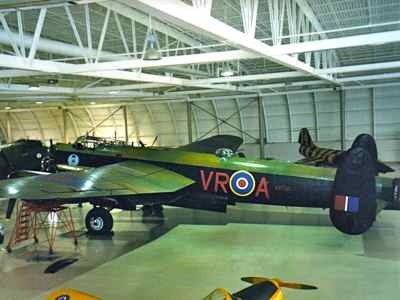 If you become a member of the museum, you can upgrade your membership to include a ride in one of their warbirds! They offer flights in the Boeing Stearman, North American Harvard, DC3 Dakota, Beech 18, Chipmunk, Cornell, Tigermoth, PBY Canso, B-25 Mitchell, Fairey Firefly, and even... are you ready... the Lancaster.... of course those big ones are going to cost you, but hey, where else can you fly in something like that?